Falconer Abraham, voice coach in Toronto believes that the mark of a good teacher is not what the teacher can do, but the result they get from the student. 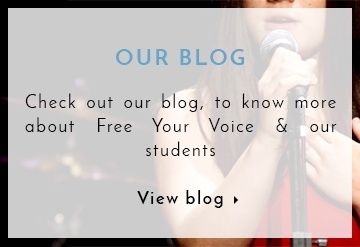 At Free Your Voice - Toronto vocal training, you will learn the most effective approaches to maximizing your range, vocal power, and ease of production. The essence of a good voice is a well-balanced voice. Having studied under the top vocal teachers in North America, Falconer is a “known unknown.” Throughout his 25-year career, he has relied entirely on word-of-mouth to grow his vocal training studio and has no shortage of talented and successful students who recommend him unreservedly: two-time Grammy winner Melanie Fiona; Juno winners Jully Black, Alessia Cara, and Carlos Morgan; Gary Beals, Mystic & Miranda, Neverest, Shakura S’Aida, SATE, Slakah The Beatchild, Roy Woods, and more. Contact Toronto’s top voice coach - Falconer Abraham at Free Your Voice for vocal training across Toronto, Hamilton, Burlington & surrounding areas. 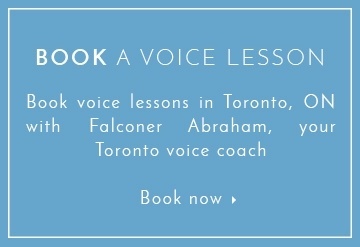 Get expert vocal training from Toronto’s best voice coach, Falconer Abraham at Free Your Voice. 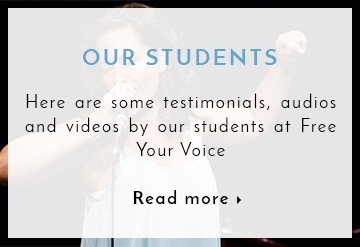 They offer voice training services across Toronto, Hamilton, Burlington & surrounding areas.